South Africa, Pretoria - Reinforcing its commitment to product development and global expansion, Jaguar Land Rover, showcased its breakthrough Land Rover Discovery Sport and Jaguar XE models today at the Paris Auto Show. 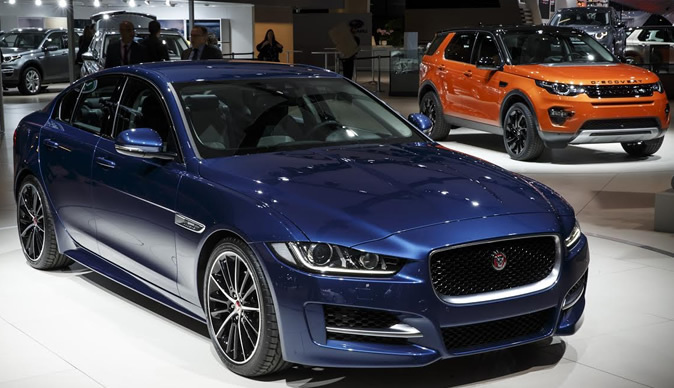 Dr Ralf Speth, Chief Executive Officer, said: "The Jaguar XE and the Land Rover Discovery Sport are at the very heart of the UK's manufacturing renaissance. "Jaguar Land Rover is delivering solid financial results and has good sales momentum globally. Our manufacturing plans around the world and product launch programmes are on track, as we deliver vehicles appealing to more customers than ever before." The all-new Jaguar XE is part of Jaguar Land Rover's growth phase and is the first to use the high-tech Ingenium engine – a family of ultra-low-emission, four-cylinder petrol and diesel engines from the new Engine Manufacturing Centre, in the West Midlands. With the new Ingenium engine family powering the XE and future Jaguar and Land Rover products, the Engine Manufacturing Centre is the result of a R9 billion investment, creating 1,400 jobs. This new centre brings engine production back to the company's manufacturing heartland. The introduction of the Land Rover Discovery Sport signifies the first member of the new Discovery family, part of Jaguar Land Rover's strategy to introduce 50 new products or updates in the next five years. The new Discovery Sport will be built at the award-winning Halewood plant, Merseyside, following a multi-million rand investment to support the development of the new Discovery family. This is part of the R63.8 – R67 billion Jaguar Land Rover will invest this year into on-going global capital projects and product creation. Land Rover showed off its latest premium compact SUV in its all-new and striking metallic body colour, Phoenix Orange, which was showcased using Land Rover's unique off-road simulator and impressive rain curtain – a natural falling water feature. Phil Popham, Group Marketing Director, said: "Both the Discovery Sport and XE are exciting developments for Jaguar Land Rover that demonstrate our commitment to continued investment in new models and innovation. "The Discovery Sport and XE models are breakthrough vehicles for Jaguar Land Rover and explore new segments of the market as well as representing a step change in the customer base for both brands." In addition to the debut of the two new models, both brands unveiled their new luxury goods collections in Paris, adding to Jaguar Land Rover's lifestyle range. Barbour for Land Rover will see two quintessentially British icons launch their first clothing collaboration, ready for Autumn Winter 2014. Jaguar Heritage '57 Collection, inspired by Jaguar's 60th anniversary of the D-Type, features a range of branded goods linked to the winning No.3 vehicle driven by Ron Flockhart and Ivor Beub for the Ecurie Ecosse team. Signature items, including the Jaguar Heritage leather jacket and leather race holdall, have been crafted in England and are made from soft, supple Pittards leather. Earlier this month Jaguar Land Rover announced a strong sales performance for August, retailing 30,249 vehicles, up 9% versus the same period last year. During the first eight months of the year Jaguar Land Rover has sold 304,854 vehicles, up 13%.